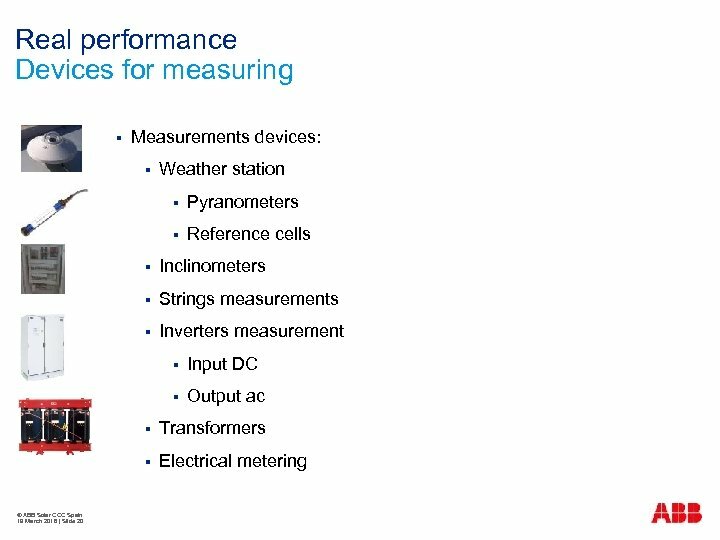 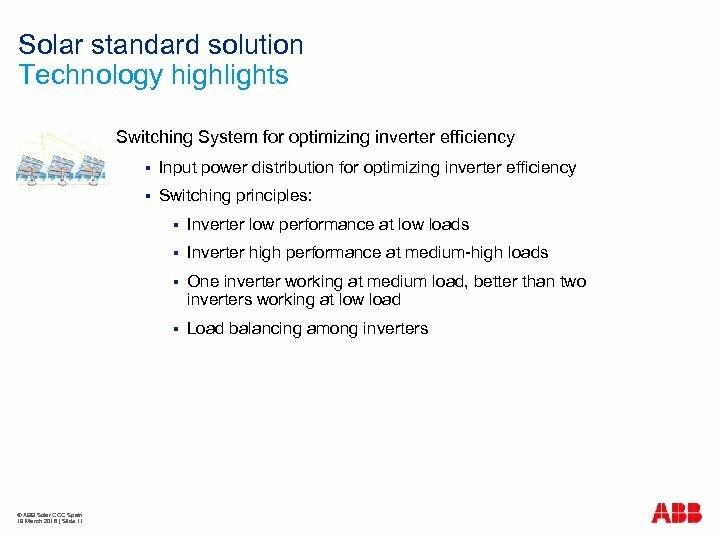 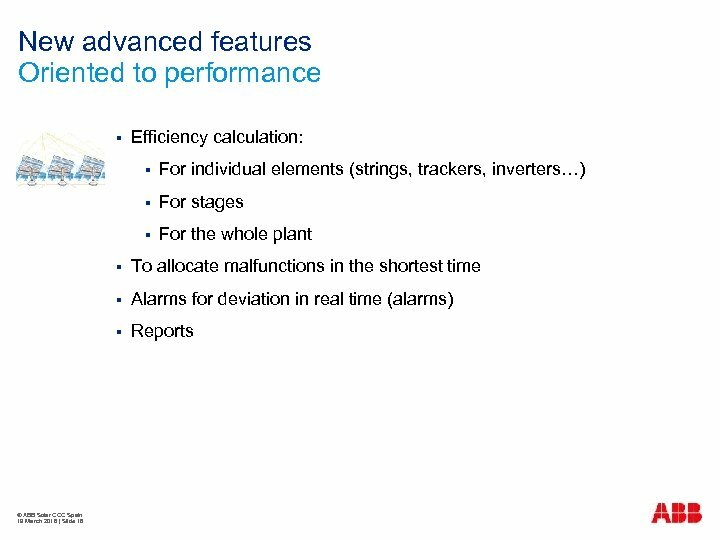 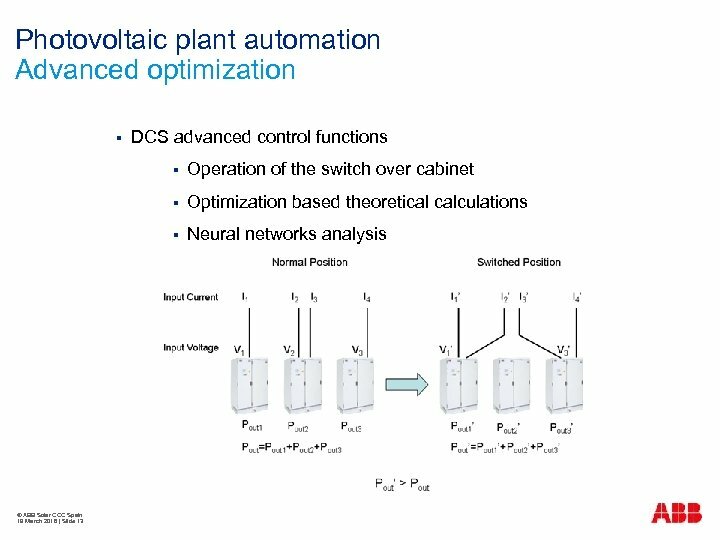 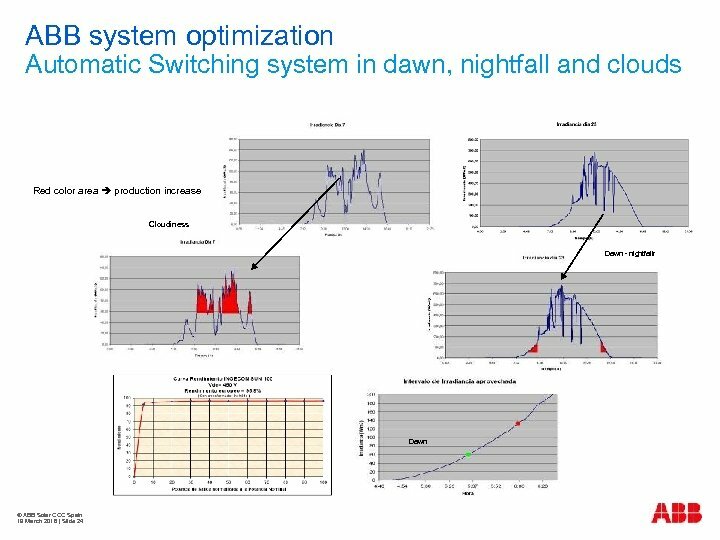 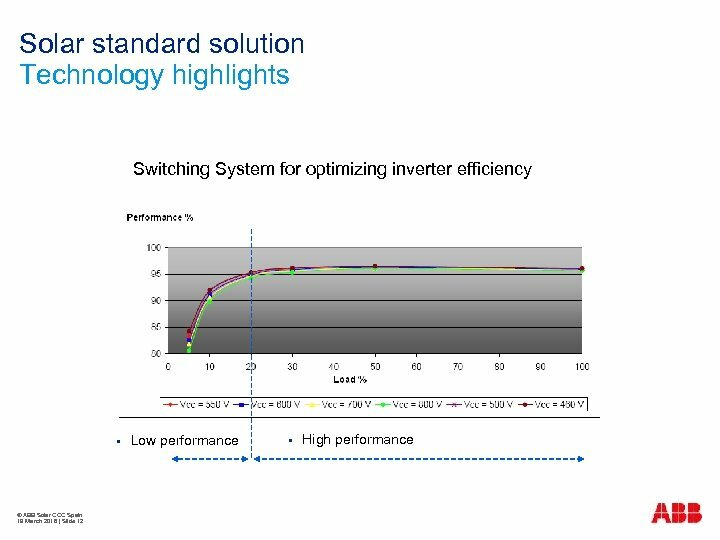 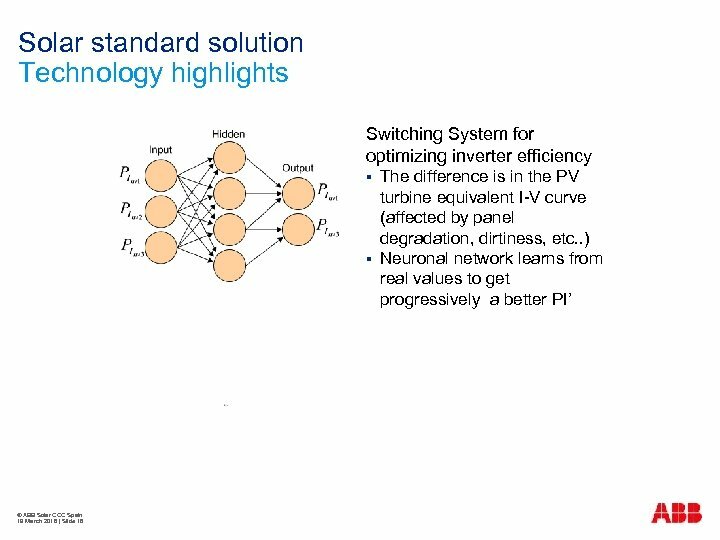 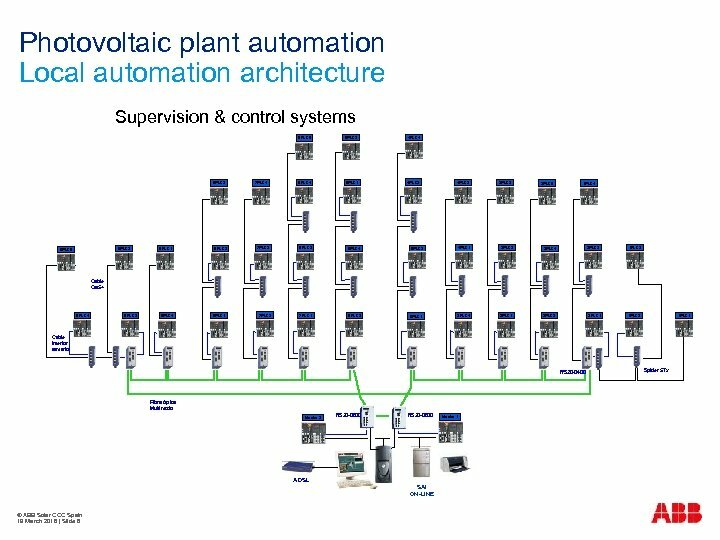 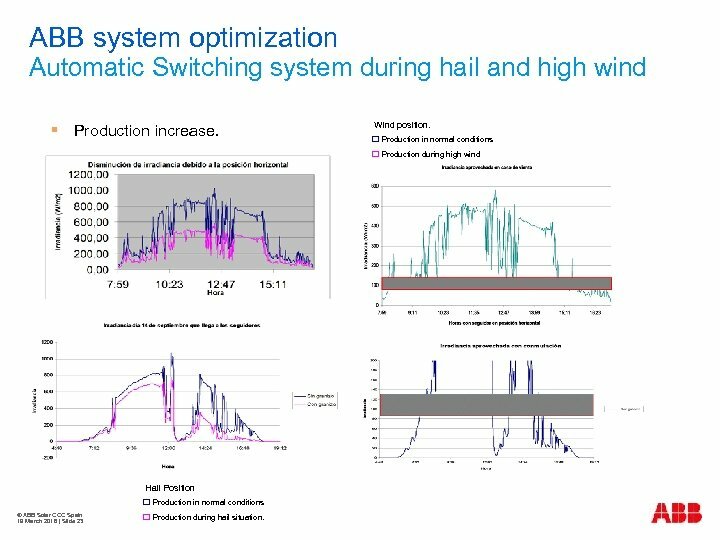 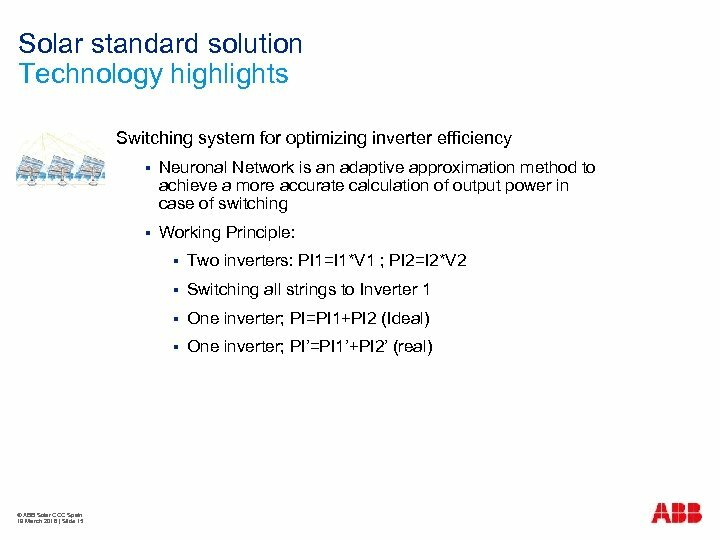 ABB system optimization Automatic Switching system during hail and high wind § Production increase. 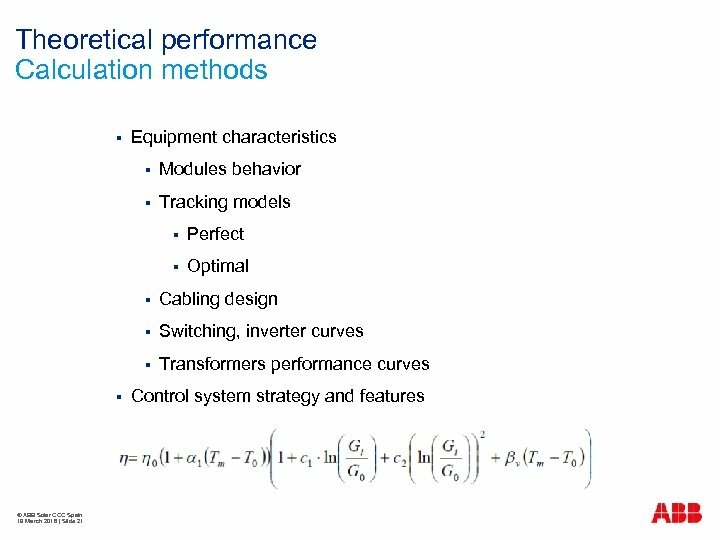 Wind position. 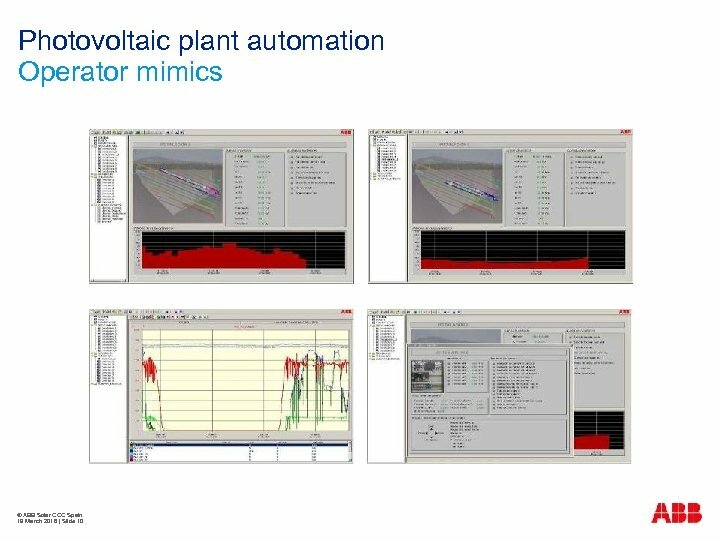 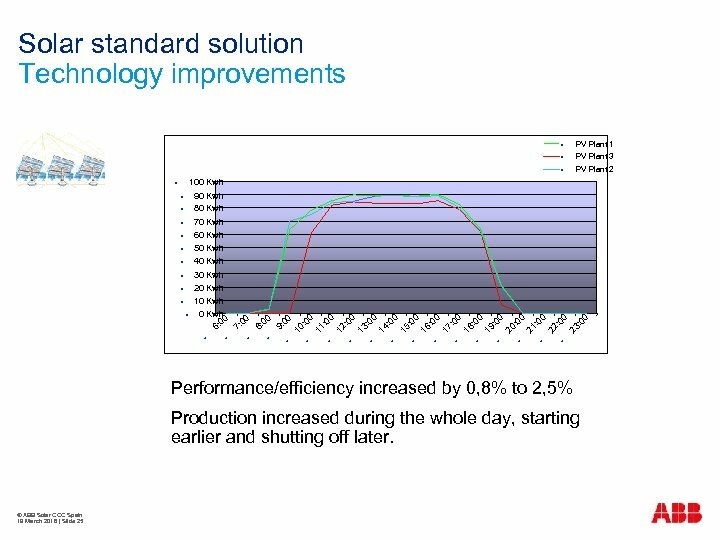 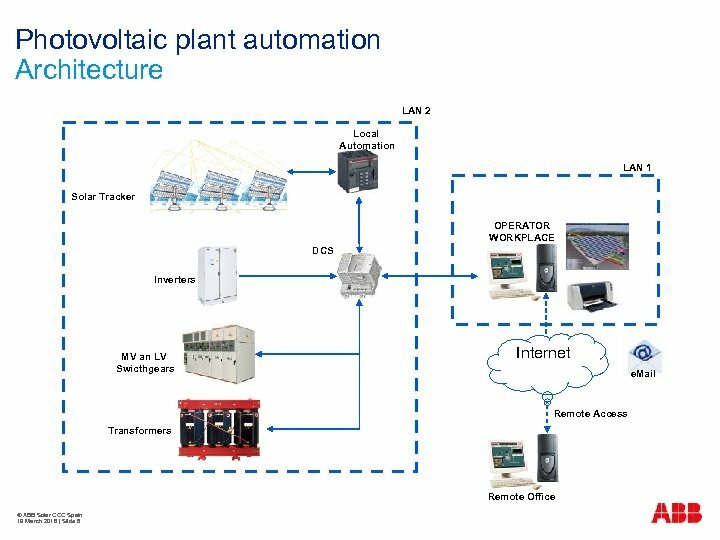 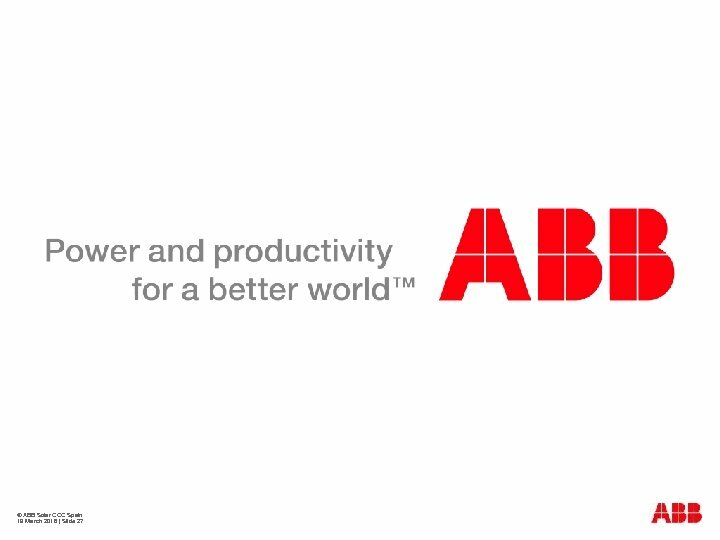 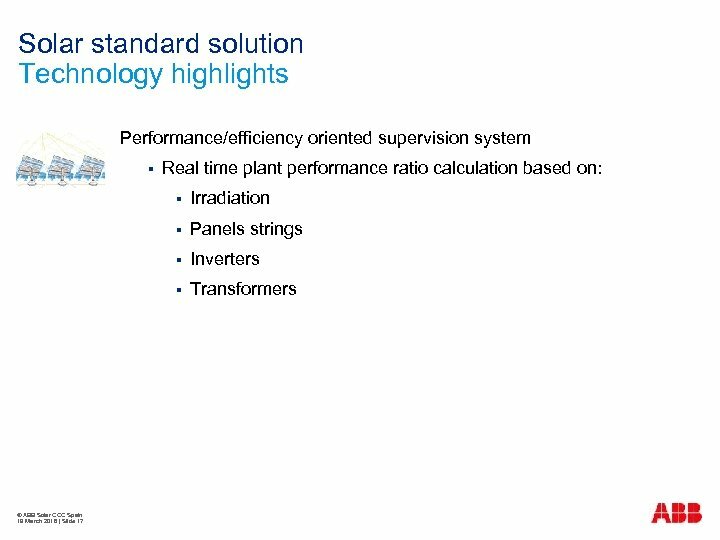 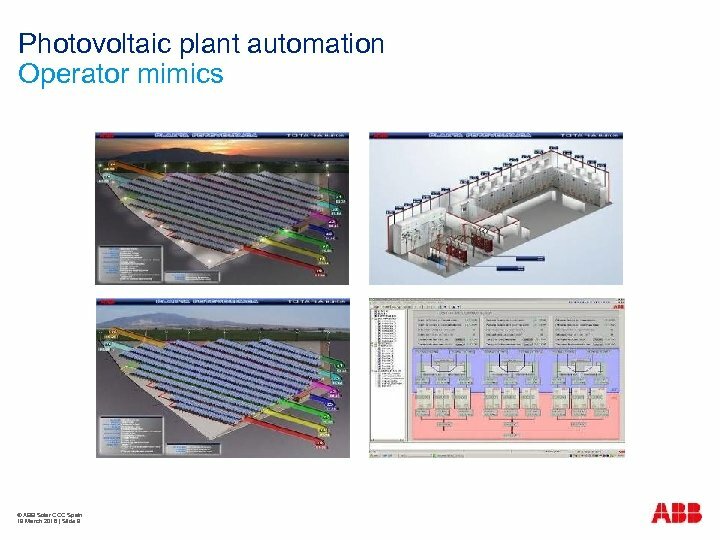 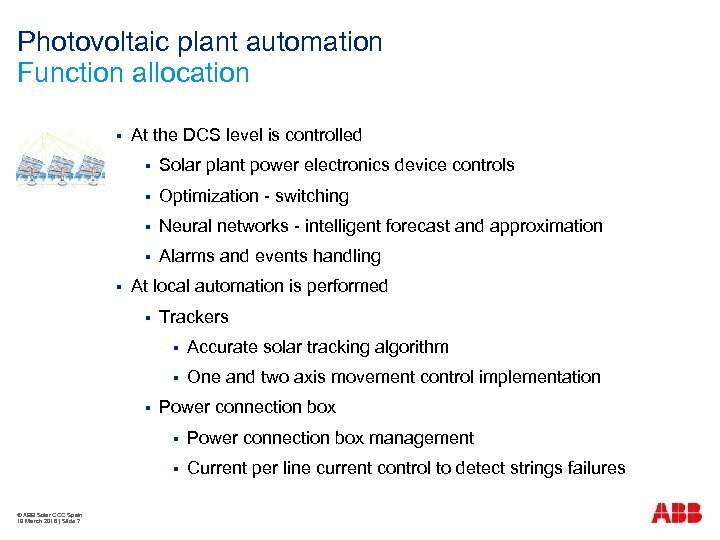 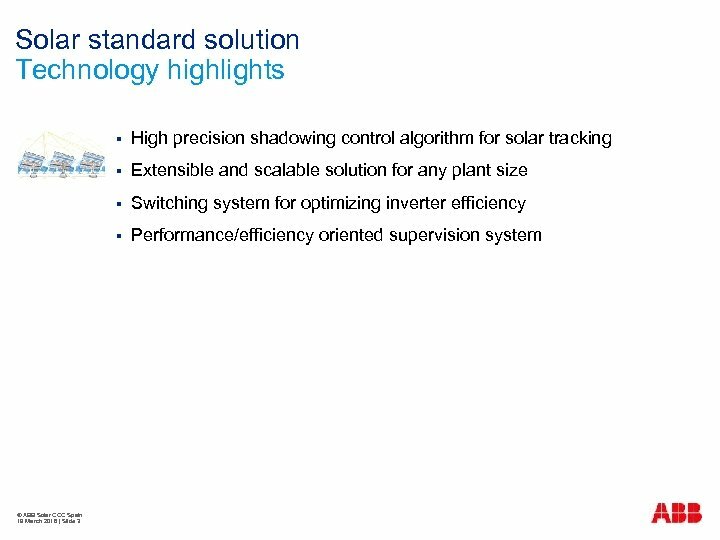 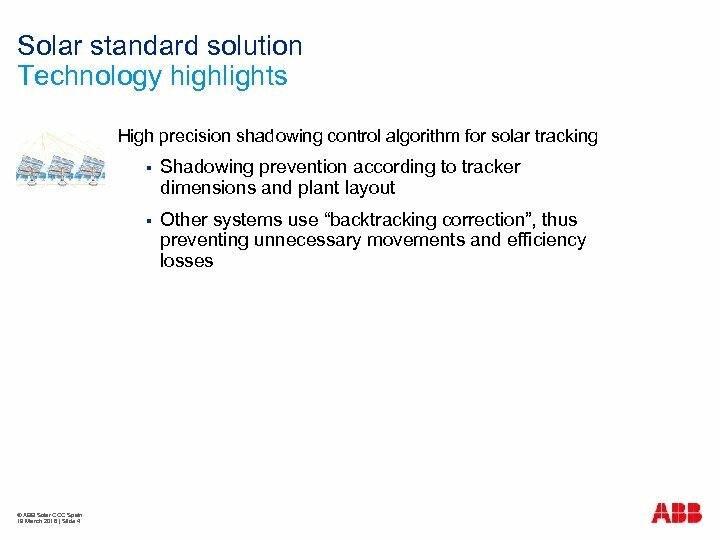 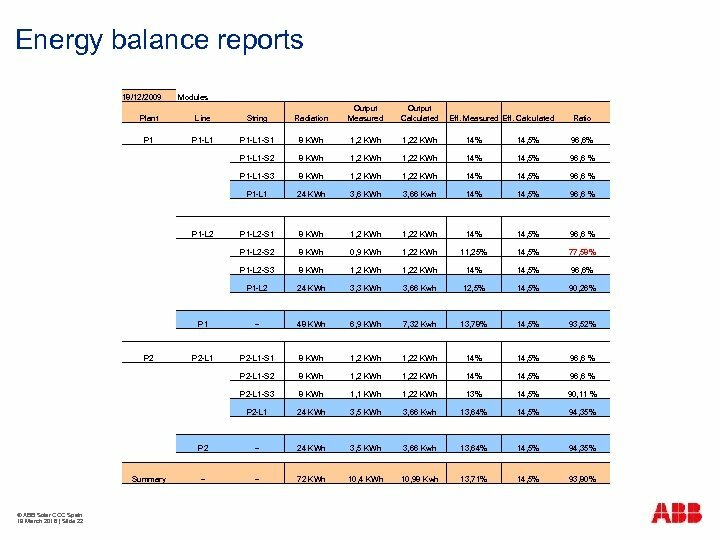 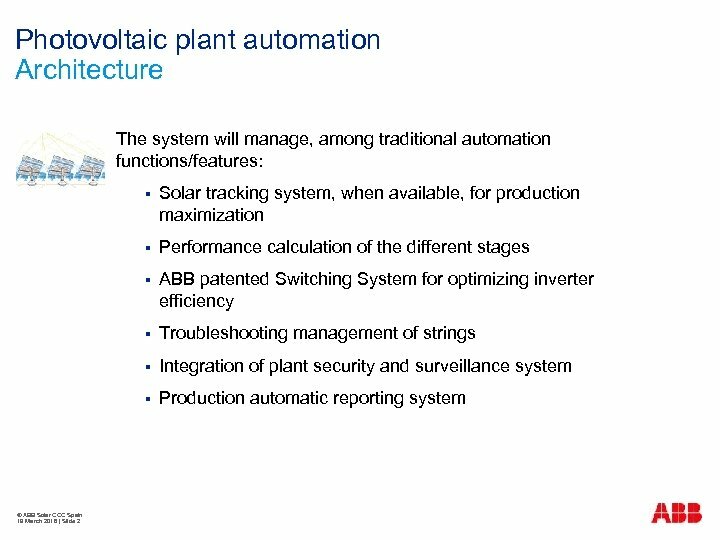 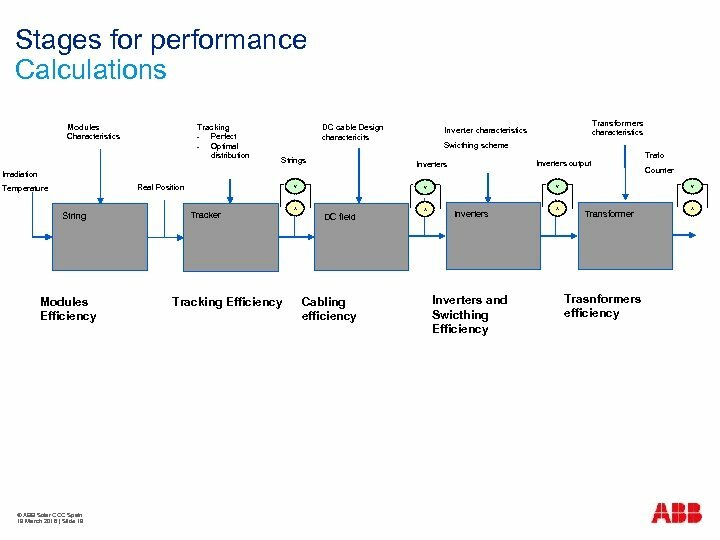 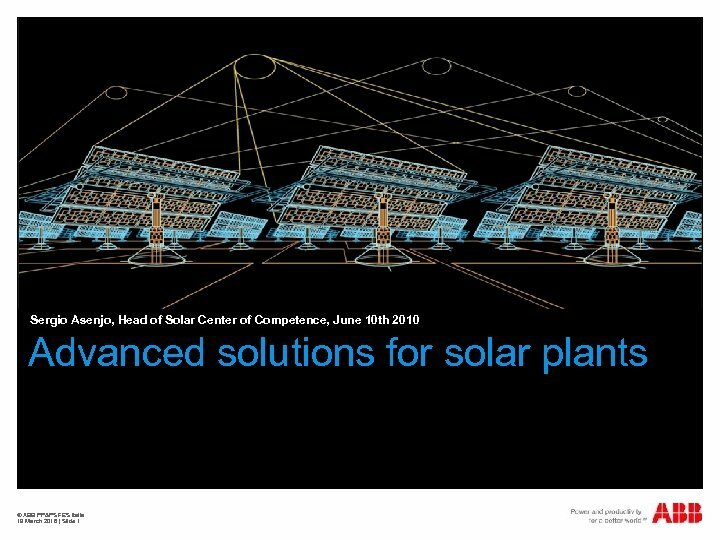 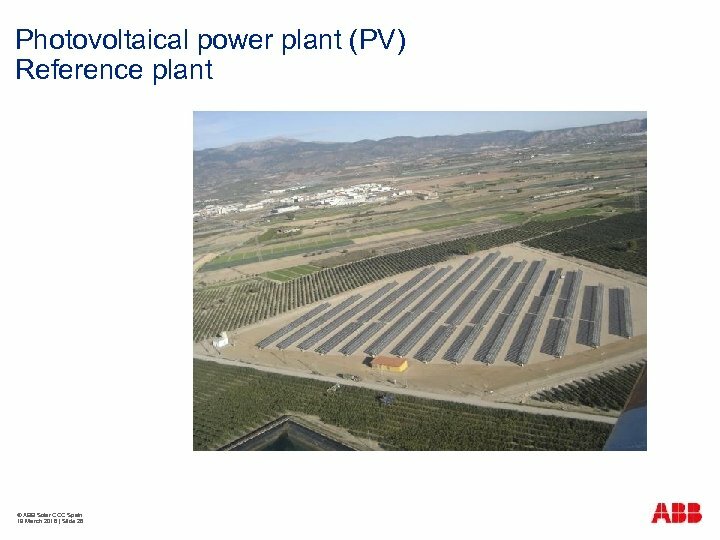 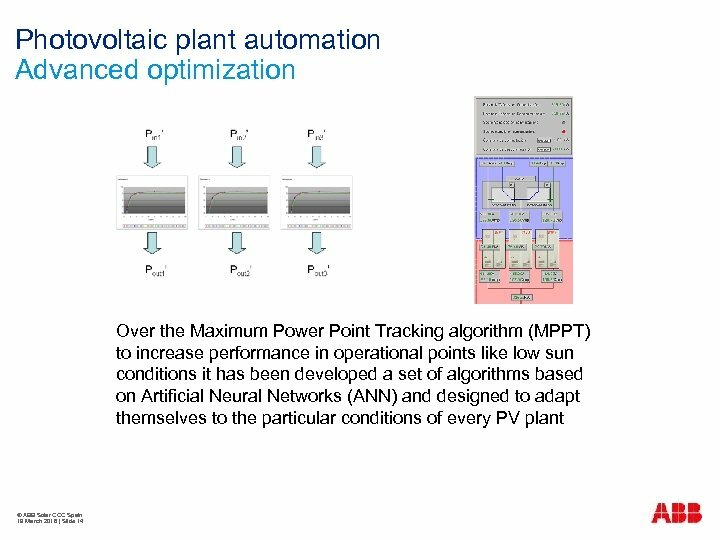 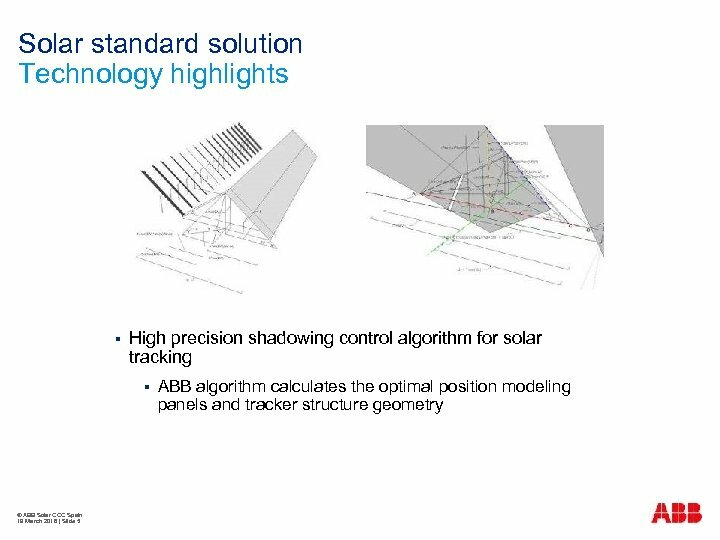 q Production in normal conditions q Production during high wind Nubosidad Hail Position q Production in normal conditions © ABB Solar COC Spain 19 March 2018 | Slide 23 q Production during hail situation.